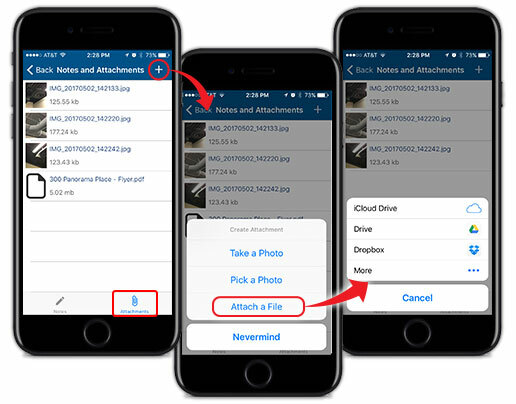 File attachments on Jobs are a great way to share job information like plans, work orders and photos with the crew in the field. 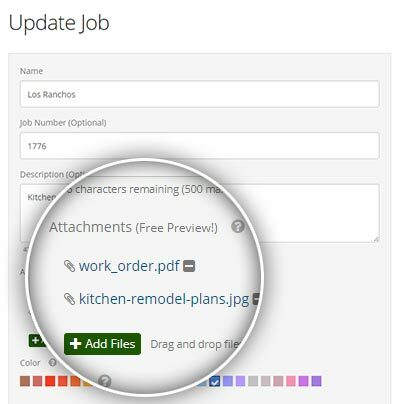 File attachments can be added to jobs from the web dashboard when you create or edit a job. Just click the "+ Add Files" button and select the files from your computer to upload them. Files attached to jobs can be viewed by clicking on their names and can be removed by clicking on the minus [-] button next to their names. 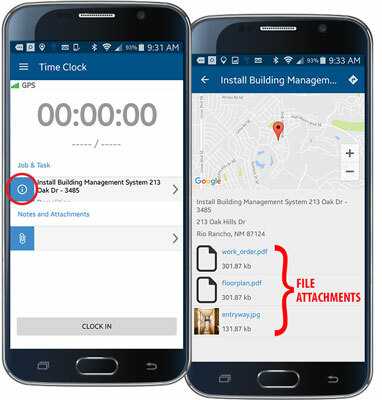 Files attached to Jobs can be seen on the mobile app from the clock-in screen. Once a job has been selected, the file attachments and job details can be seen by clicking on the blue information icon (i) next to the job name. 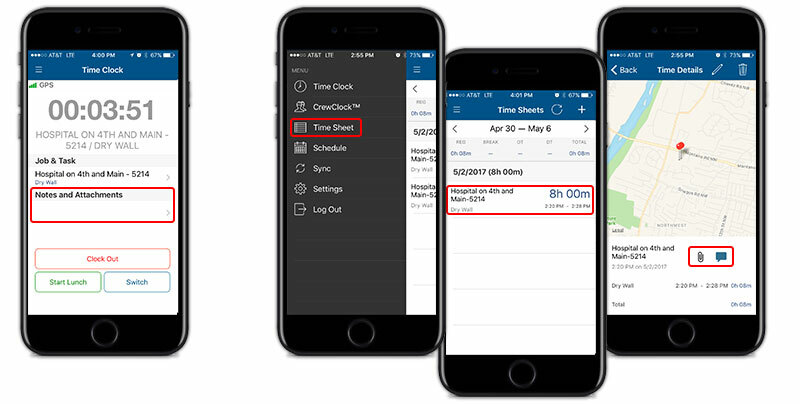 Attachments are found where notes are on time records. 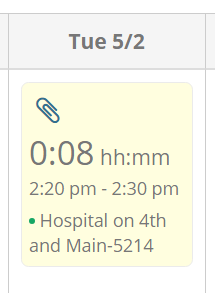 You can get there from either the Time Clock screen or from the Time Sheet itself via the Time Details screen. Click on the paper click icon to go to the attachments section. From there you can view the attachments in the list, or add a new one by clicking on the "+" icon in the upper right. This will bring up the Create Attachment view where you can elect to take a photo, pick a photo or attach a file. 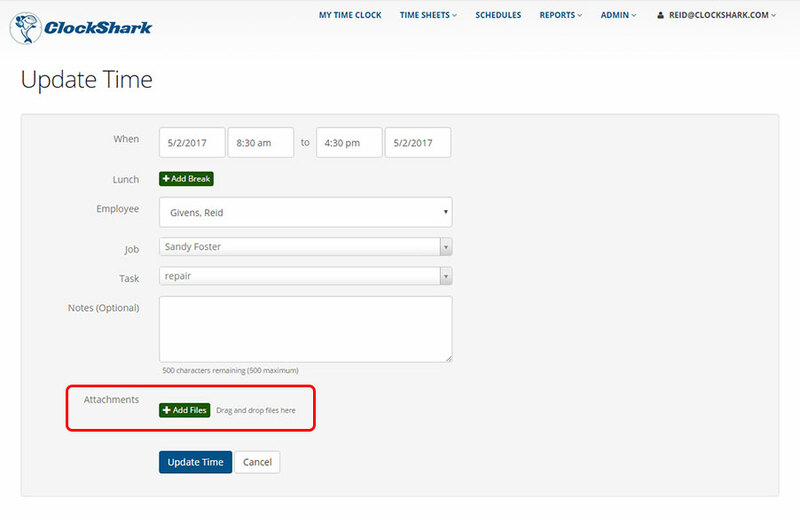 You can see which time records have attachments from Time Sheets screen on the web dashboard. Any time records with a paperclip icon contain file attachments. 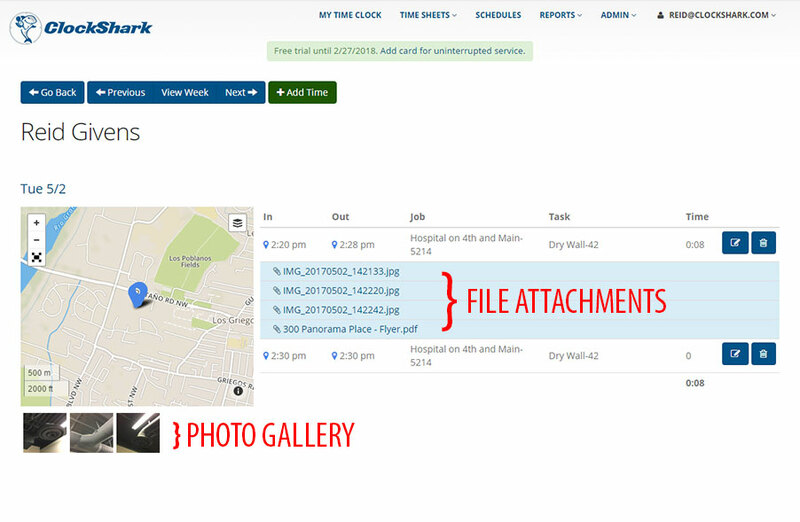 You will also be able to see attachments as they are added in real-time from the Who's Working Now screen. When viewing a time record, you can see the file attachments under the time punch it was attached to. Clicking on the attachment name will download that attachment to your computer. You also get a gallery view of any photo attachments on the time record under the map.